One of the world’s great runs is Masada’s Snake Path, where you’ll run from the lowest place on earth, gaining 400 meters to the summit where you’ll enjoy views of the Dead Sea, the Judean desert, and the Jordanian mountains. Masada is a historic site in Israel, where Jewish rebels held up against Roman legions. King Herod’s fortress has been remarkably preserved. It is a particular treat to reach the summit and watch the sunrise. The run is about 2 km, involving 1,148 feet of elevation gain and employing 700 steps. You can walk/run back down, or take the cable car. Be prepared for the heat — this is the desert! For a running contrast, enjoy a gentle trail run at the nearby Ein Gedi Nature Reserve, a lush desert oasis where fresh spring waters bring greenery and wildlife to the stark desert terrain. There are nine hiking trails. 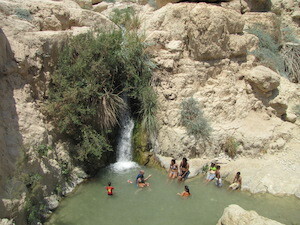 The most ‘runnable’ is the Wadi David loop, where you’ll run along the dry river bed (Wadi) to David’s waterfall, where you can enjoy a refreshing dip in at this gorgeous spot. 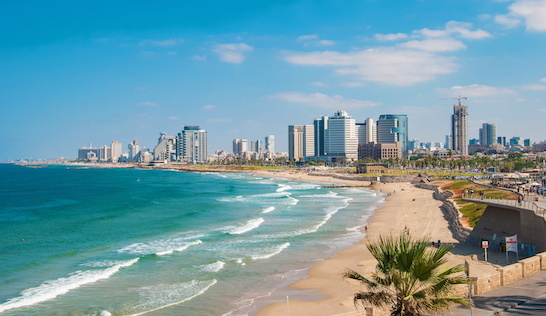 For a longer run, continue from David’s Fall onto more difficult trails towards Shulamit’s Spring, Dodim’s Cave, and finally, the Ein Gedi Spring. The footing is a bit tougher here and this involves some climbing. There are water pools along the way for a refreshing dip! A color-coded map with trail information can be obtained at the ticket office. Only accessible during opening hours.